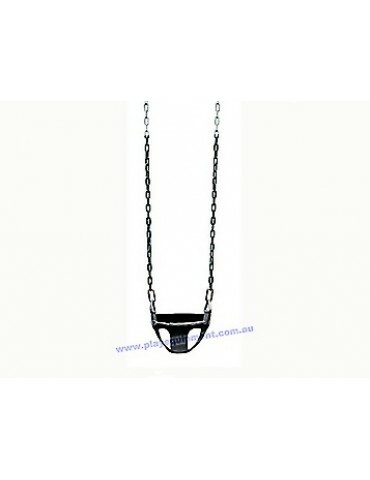 COMMERCIAL Half Bucket Black Rubber Infant Swing Seat with safety chain on front comes with plastic coated chains and 2 Snap Hooks. 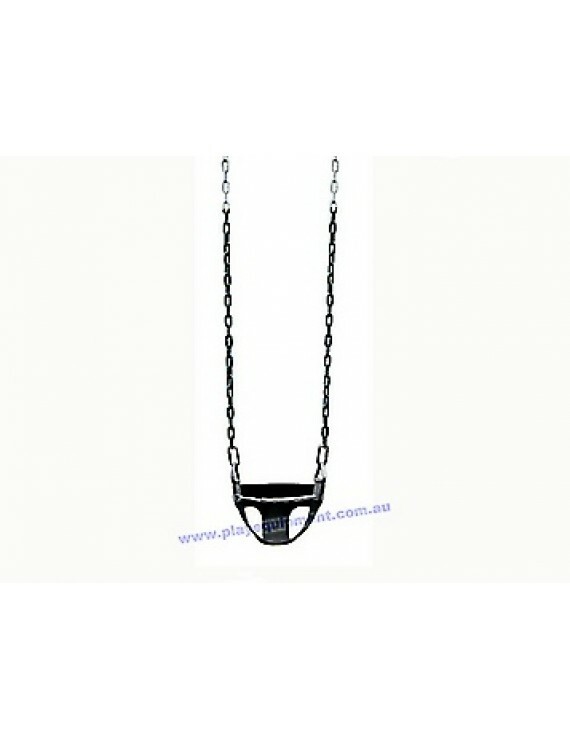 Uses Rubber swing seat with steel insert and soft edges. Same as the ones used in COUNCIL PARKS. The chains have a plastisol coating on the first 800mm to protect fingers.